Team Tsunami Sundae, tools and buckets ready! OCTOBER 11, 2014, SAN FRANCISCO. 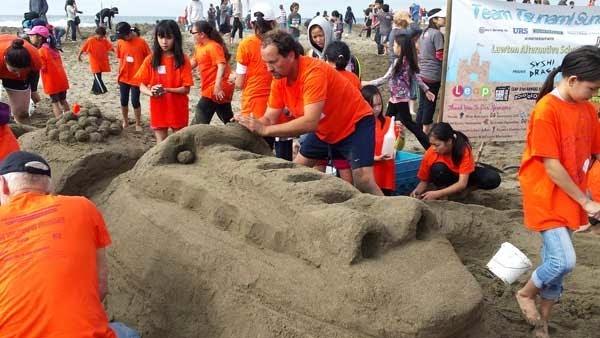 Congratulations to Team Tsunami Sundae for winning Silver Spoon for Best in Show (second place) in the 31st Annual LEAP Sandcastle Competition that took place last Saturday at Ocean Beach. 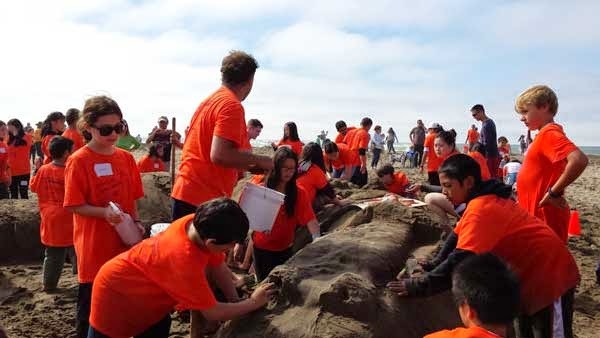 Twenty-nine teams of architects, engineers, contractors and designers donated time, tools, imagination, expertise and feet-on-the-sand for the benefit of local elementary schools. Each team raised money for the event, which is the largest fundraising event of the year for Leap. 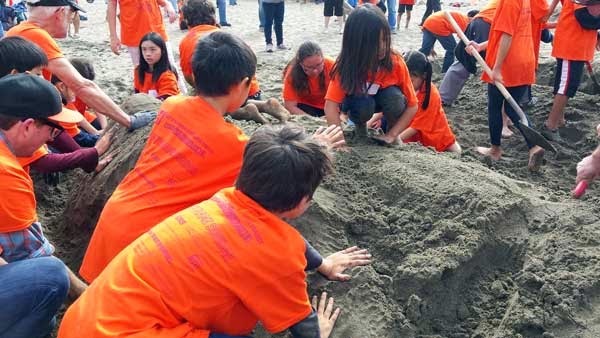 Over $250,000 and counting has been raised so far; money that goes towards Leap’s mission of bringing arts education into Bay Area elementary schools. This year’s theme was “Food, Glorious Food!” Siegel & Strain was excited to lead a team for the first time, the Tsunami Sundae team, which was comprised of Forsythe General Contractors, Ben C. Gerwick Inc., Jacobs Associates, Siegel & Strain Architects and URS Corporation in partnership with Lawton Alternative School. 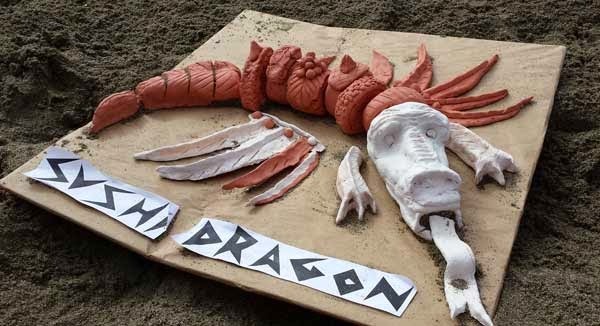 The students of two fourth grade classes at Lawton worked with the team weeks before the competition to come up with their sculpture design: SUSHI DRAGON! The team then transformed this idea to a clay model. 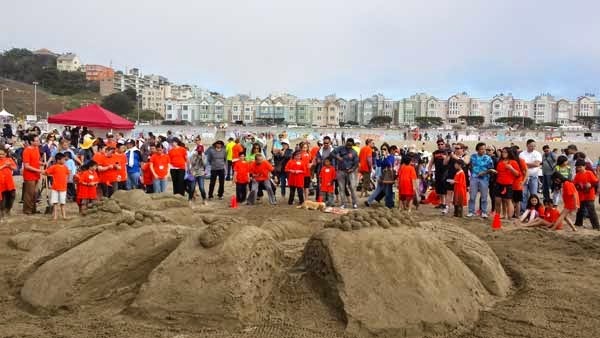 On the day of the event, team members, students and family members combined their efforts to shovel sand, scoop water, carve, bucket-brigade, stomp, brush, and rake out the final sand sculpture. 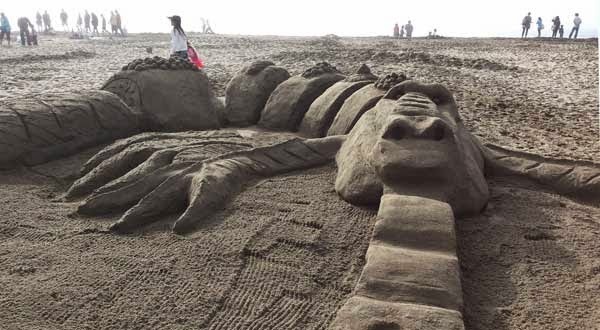 Below are a few snapshots of the team, the work-in-progress and the completed sushi dragon. Great team work and skills paid off to win the team second place! 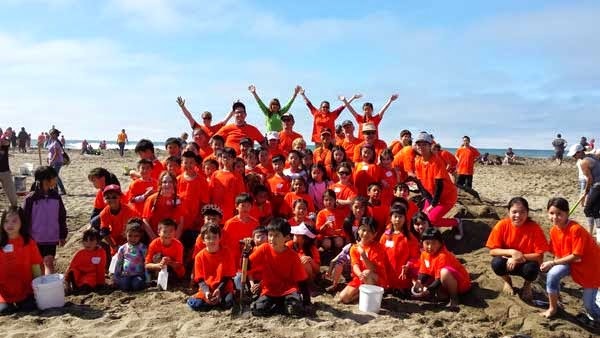 A sand-tastic time was had by all! Special thanks to our sponsors who generously donated over $6000 on behalf of Lawton Alternative School: Bluestone Engineering, Inc., Engineering 350, Kaufman Construction, Glenn Macomber Construction, Oberkamper & Associates, PGAdesign Inc., Pittman Drywall, Point Energy Innovations, T. Rintamaki, Royston Hanamoto Alley & Abey Landscape Architects, Teecom, Kevin Wagner, Ware Associates, plus the team firms. 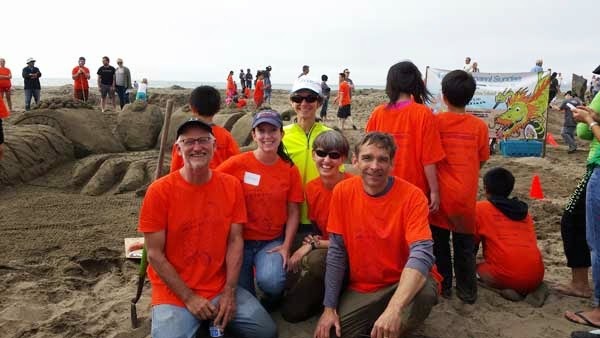 From left: Siegel & Strain's Larry Strain, Team Captain Lindsey Moder, Susi Marzuola, Marjorie Smith, and Pyatok's Peter Waller.